TABlites Brand Compatible Created to fit with TABlites Electronic Cigarette Batteries Vape just as long! These refill boxes are perfect to store in the car, at home and work, ready when you need them. 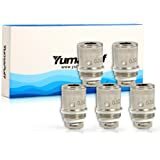 They will fit a Tablites Electronic Cigarette. Gold Flavour our most popular for those still wanting that tobacco taste, like B & H but nicotine free. 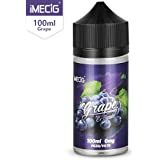 Our E Cigarette Cartomizers are so easy to use and fit with other brands*, they are the perfect place to start, when transitioning from regular cigarettes to electronic cigs. 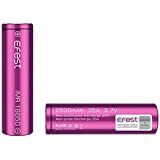 To start using the E-cig, screw the cartomizer filter onto the end of your charged battery and you're ready to begin a healthier lifestyle! Each cartomizer is the equivalent of up to 40 regular cigarettes giving you a great vaping experience whilst saving upto 80% on regular cigs. Stock up with this pack, save time & money on postage. 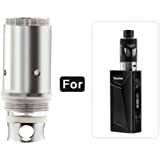 An electronic cigarette is an alternative method to smoking. 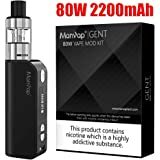 E-cigs have many advantages compared to traditional smoking as they contain zero tobacco and zero tar, no carbon monoxide, no smell, no ash, yet they still provide that hit smokers crave. 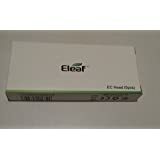 See our products for a Electronic Cigarette Starter Kit, which will work with this listing of Cartomizer filters. NB: Cartomizer create E Cig Cartridges to fit various brands of Electronic Cigarettes, including: VIP, Socialite Zero & Cartomizer. 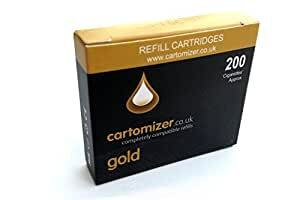 Ensure when buying cartomizers refills that you select the correct Electronic Cigarette Brand cartridge fitting you require, see our range for BIG savings.